M.E /M.Tech. B.E /B.Tech B.A. L.L.B B.B.A. L.L.B Dual Degree M.B.A M.C.A. The campus sometimes deemed to be inferior to the Primary campus doesn't matter much. The faculties in this campus are equally good, impart excellent knowledge. This campus has great industry exposure and the placement streak has been good, however you need to work for it if you desire great packages. However, the preconceived notion of VIT being a really cool and chill place is actually a myth. The campus has strict rules which you're supposed to abide by and discipline, decorum is expected from students. Being said, this college doesn't constrict you and helps you develop. The infrastructure of this institute is good. 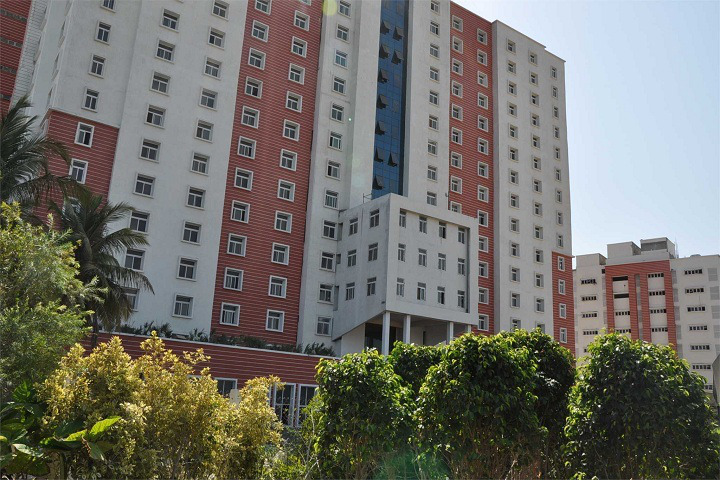 It is loaded with greenery and the academic block is well off. Even though it may not have a campus as big as the prestigious institutes, it has fit in most of the amenities within the campus. It has a lake and small hills (rather big bumps) which are used like picnic spots. They keep planting more trees every year (very environment conscious). Many sport facilities are also there; you have a gym, basketball court, badminton court, cricket ground, and a football ground. Regarding the academics the quality of the professors are not up to the mark. Some don't want to teach, some don't know how to teach, some can't simply teach because their knowledge in that field is poor. Regardless of the teaching, they make sure that the question paper has HOTS (High order thinking skills) questions. This burdens the students. They do overload the student with assignments which many a times is not related to the syllabus at all. They encourage practical thinking; all subjects here have a compulsory project component even if it is a non-technical subject. They expect you to come with a million dollar worth project idea within the first fortnight of the start of the semester. They promote thinking out of the box caging you. It would have been better if the professors could help you in your project rather than doing everything by yourself. They do take you out for industrial visits but it actually ends up at a bird sanctuary, museum or a drama. They should really start taking us out to real industries not animal industries! It is very strict regarding the attendance. Including medical calls you are expected to have attendance 75% and above. If not you are debarred from writing the test. This college does have a good vision and wants to achieve great heights but it does not put in any effort to achieve the same. They make rules which they think will do good and implement the same. They do host complaints sessions but it always turns out to be a justifying session (of their actions). Coming to the hostel part, they maintain cleanliness; room service is done everyday and you get basic day-to-day requirements from the shop below. However the mess food is not satisfying. Average salary was 4.5 lac p.a, however the highest was 21 lac (received only by 2 students). Mass recruitment takes place here. So you can be sure of getting a job but not regarding its package. Recruitment to top level companies like google and Facebook is close to null. The no. of clubs is less. However they attach credits to these, so you have to join 2 clubs every semester. It always turns out to be less productive; you don't end up learning something new. The fees they charge sure does not equate to the teaching they provide.I would recommend you to join this college only if this is your last stand. The right place to be in. Very happy to have chosen this college.I have learnt soo much here and there is still so much more. As a person I have developed here. 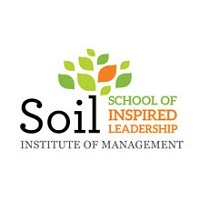 So this college does more than just help you excel academic wise. I had exposure in various fields.lab facilities are excellent here moreover teachers here are well qualified and trained us.They also relate engineering with real time applications (most of them even take us on industrial visits to show us the current advancements in the field). Infrastructure here is great. 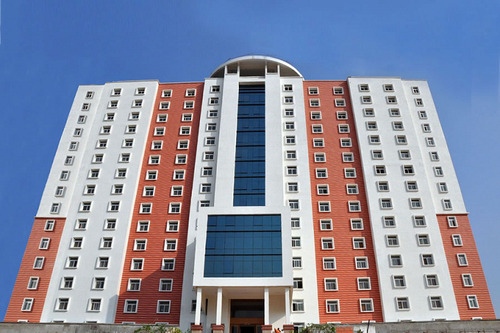 Vit Chennai is among the top colleges in Chennai. Apart from studies, sport facilities are good here. Crowd here is amazing.Peer group is always encouraging and take you towards your goal. All in all money well spent. It was very good to be in this clg.I have learnt soo much here.as a person I have groomed here.I had exposure in various fields.lab facilities r excellent here moreover teachers here are well qualified and trained us.They also relate engineering with real time. infrastructure here is awesome.Among Chennai Vit Chennai is in the top rankings. Apart from studies, sport facilities are good here.crowd here is amazing.Pear group is always encouraging and take you towards your goal. On the whole this as been the best 4 years if my life. Should I join Amritha coimb. 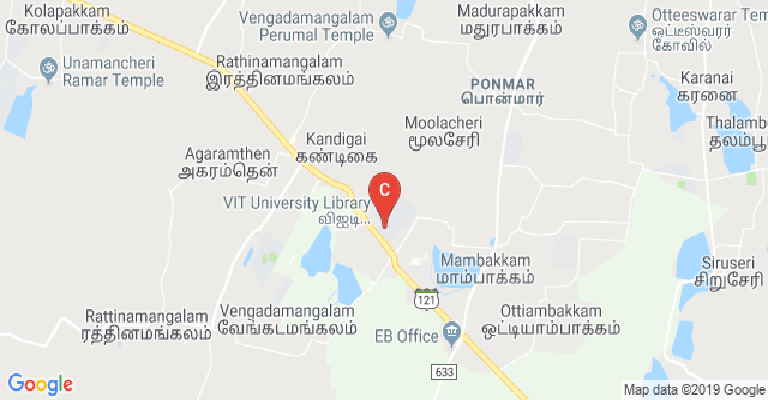 CSE OR VIT chennai CSE? 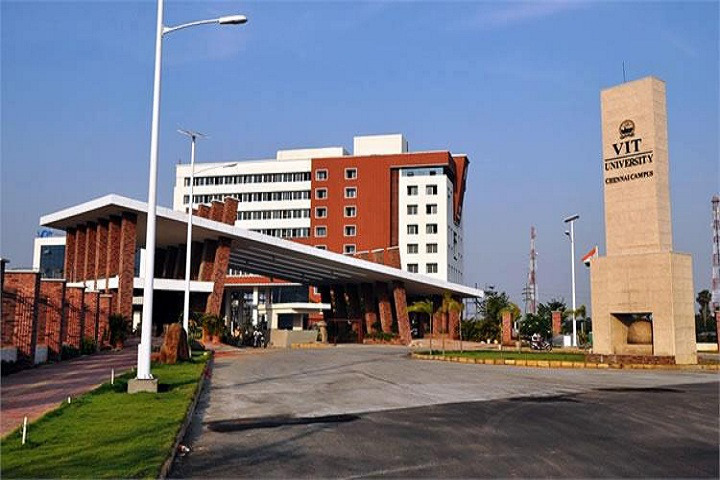 Which is best sastra or Vit chennai campus or Sathyabhama university?? Medical/Hospital :The University has medical Healthcare Clinic addresses all the health needs of students, faculty, and staff on a continuous basis throughout the year, 24/7. 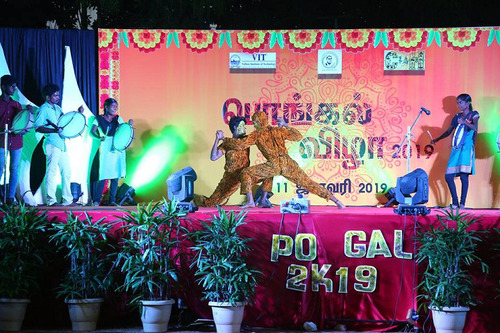 Our core objective is that students’ be given the best care at all times in all spheres – academic, co-curricular, extra-curricular and in their health. 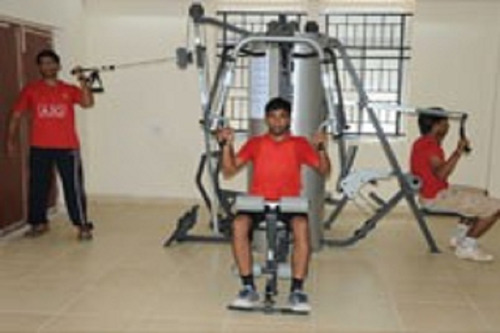 Gym :The University has a Gym facility for the students. has a number of centers for physical education. To maintain physical fitness and develop a competitive spirit. The Institute newest facilities for students include two gymnasia, one exclusively for men, and one exclusively for women. A central multi-facility piece of equipment enables several enthusiasts to work out at the same time. Library :The University has a library facility for all students. The Central library has been established with a state-of-art infrastructure to the International Standards, spreads over to four floors with a built-in area of 25000 sq.ft. It has provided with central air-conditioning system, well-protected with fire alarm, CCTV, Flap Barrier, and RFID book security system. 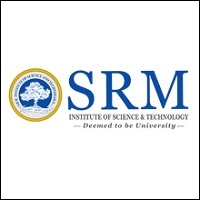 Reference and textbooks of national and international authors, International and national Journals & Non-book materials are available to cater to various fields of Basic Sciences, Engineering and Technology, Law, Humanities and Social Sciences. The Collection includes with 51816 documents, 47664 volumes of books, 616 back volumes, 3536 CDs and DVDs. The Central Library subscribes National & International Print Journals and more than 13316+ e-Journals. Sports :The University has a sports facility for all the students To achieve a healthier lifestyle while coping with the highly demanding study environment, one needs to be healthy, both emotionally and physically. As a part of this process, emphasizes the importance of sports and considers them as an integral part of the curriculum. I.T Infrastructure :The University has an excellent IT Infrastructure facility for the students. 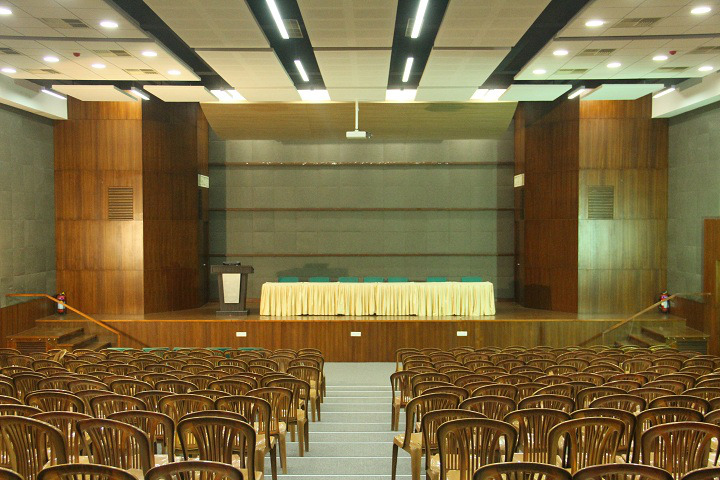 Auditorium :The University has an auditorium facility for events and seminar. Auditorium‘ commonly used by students is nothing short of being a marvel. Able to accommodate 400 students and, it has been built with centralized air conditioners. This auditorium is used for various events and conferences. Banks/ATMs :The University has the Banks/ATM facilities for all students. The Indian Bank branch is available in the campus with ATM facility. Convenience Store :The University has a convenience store facility for students. (like mattresses, clothing, and accessories to greeting cards. Transport Facility :The University has a transport facility for all the students and staff. Bus facilities are available for the dayscholars.